Trainees taking part in the course will be taught the subject through a series of lectures and practical exercises that cover all aspects of the business, including: classification of appliances, the IEE Code of Practice, ways to use a PAT tester, how to efficiently record results, health and safety requirements and test procedures. The course includes morning tea and a buffet lunch. Materials that are provided and included in the tuition fees are a PAT reference card and the Handbook of Portable Appliance Testing. In order to complete the course all of the learners will have to sit a 20-question exam. This exam covers everything involved in the trade and tests what has been learnt on the course throughout the day. Trainees will also have to take part in practical activities, which are monitored by a professional, to ensure that they fully understand the PAT process. After successfully completing PAT training in Newcastle each participant will be considered fully competent to begin work as a PAT technician in accordance with regulating standards. In official recognition of this, participants will be awarded a Certificate of Competence. The course lasts for one day, running from 09:00 until 16:00. Many different types of people can take the course, including those who are simply interested in understanding how the process works, or those who want to refresh their current knowledge of this useful trade. Participants come from all backgrounds because no previous experience or qualifications are required in order to take part in the course. Although no formal experience or qualifications are required in order to take the course any previous experience with electrical appliances or wiring will be handy. It is recommended that the learner purchases a copy of the IEE Code of Practice, but this is not a requirement of the course. 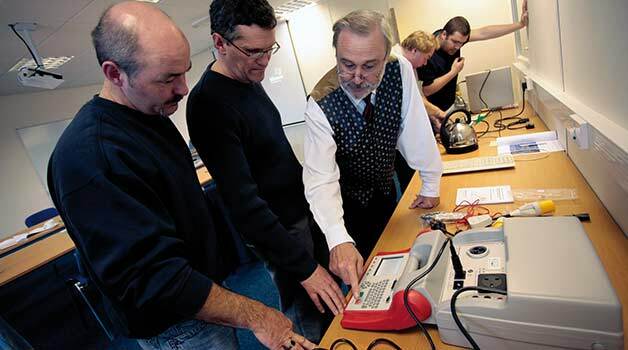 PAT training in Newcastle is a great way for people to learn a new trade, perhaps allowing them to gain a new income stream or to expand their knowledge within the electronics industry.